This Arial Biological washing powder is ideal for everyday laundry washing needs in both domestic and commercial premises. This product has been formulated to offer a great clean on a wide range of fabrics, as well as stain removal properties that provide stain free results. Arial Biological can be effectively used at a 30 degree wash, which helps to save electricity and your carbon footprint. This product is available to buy online and can be bought as a bulk buy option. Daz Automatic - 110 wash .
Daz Automatic washing powder offers excellent results even at 30 degree washes. It is an effective washing powder that offers great results even on washes at 30 degrees. This product provides up to 110 washes making it ideal for use in both domestic and commercial premises. As well as this, it is an easy to use product that removes stains and dirt from a range of fabrics. Daz Automatic is available to buy online and can be bought as a bulk buy option. Persil Biological is an effective washing powder that offer great value for money. Each box provides up to 120 washes making it ideal for both domestic and commercial premises. As well as this, Persil Biological offers and effective clean that removes a number of dirt and stains from a range of fabrics. It is available to buy online as part of a bulk buy option. 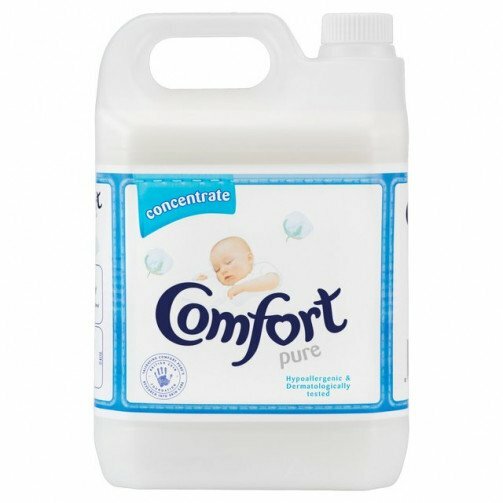 Comfort Pure Fabric Conditioner comes in a 5 litre container and there is enough for up to 142 washes. Comfort Pure has a long lasting fresh fragrance and keeps your laundry feeling super soft. Dermatologically tested and designed to be gentle to sensitive skin. Pour recommended amount into the correct department of your washing machine drawer, along with your laundry detergent and set your washing machine at the correct cycle. Use in every wash for softer laundry and easier ironing. 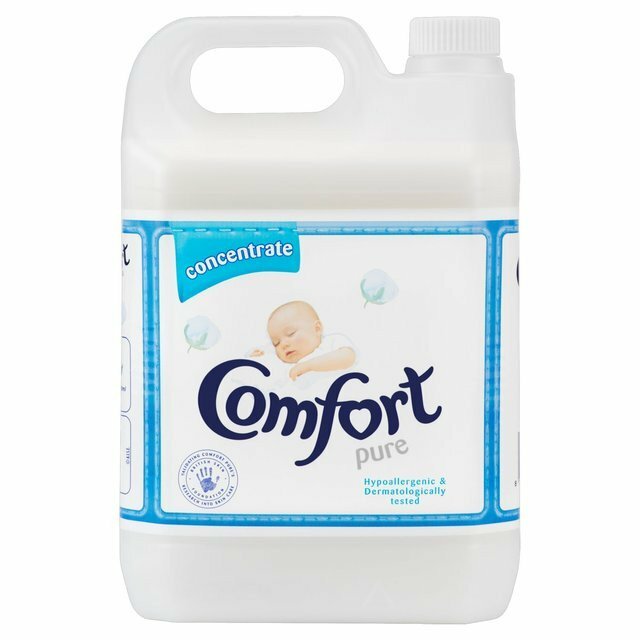 This Comfort Pure Fabric Conditioner comes in a large container holding 5 Litres of liquid ideal for commercial laundry washing.